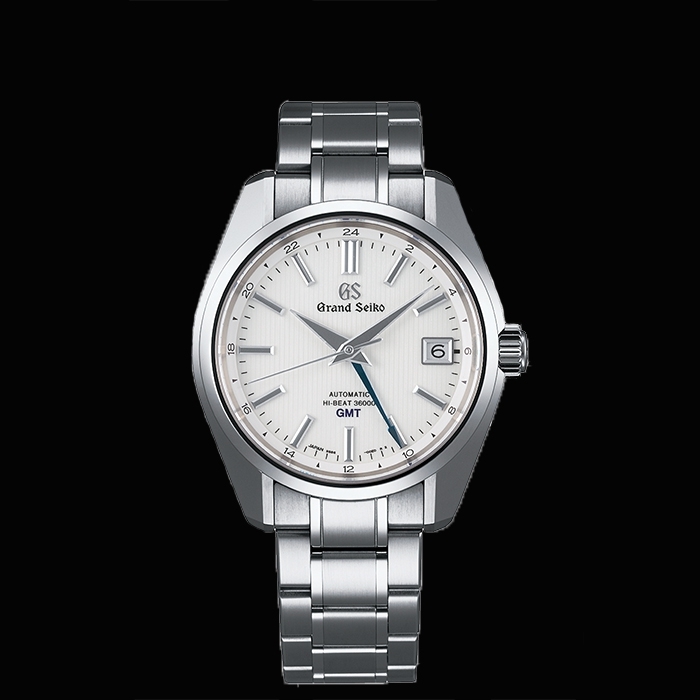 Grand Seiko | 7'400 € Tax inc. 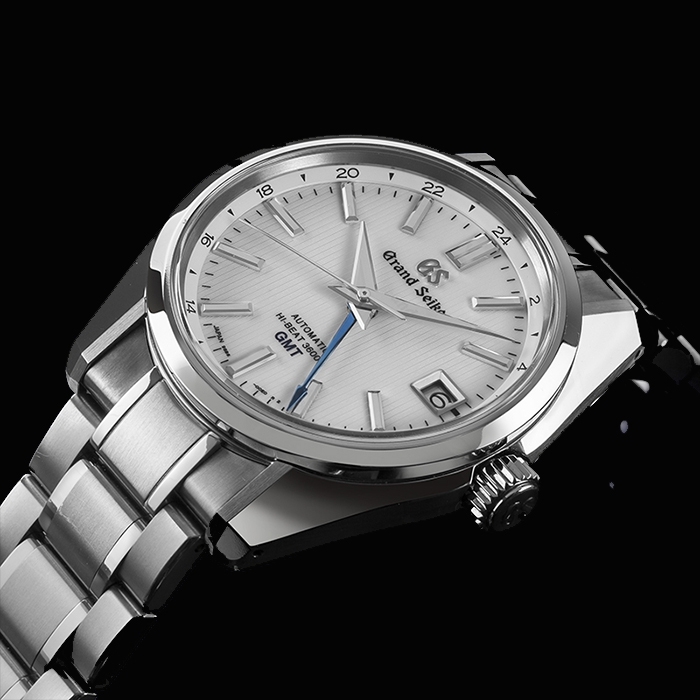 This model incorporates Caliber 9S86, the high-specification movement delivers the same accuracy (-5 to +3 seconds a day) and the same power reserve (55 hours) as the core Caliber 9S85, while also offering the GMT function that the international traveler needs to ensure that the accuracy of the time shown is not compromised when the time zone is changed. The GMT hand shows the time in the home time zone. The case and bracelet are made with high-intensity titanium, providing a scratch and corrosion resistant finish, making it 30% lighter than stainless steel and a pleasure to wear. Compared with standard titanium, the case bears a white sheen akin to stainless steel, which can be maintained throughout the life of the watch. The stunning aesthetic of the watch—which carries the essence of 'Grand Seiko Style', the embodiment of the Grand Seiko design philosophy which started with the 44GS—consists of a distortion-free, wide mirror surface, and an intricate, multifaceted shape, providing a beautiful luster. A visibly lightweight appearance is created with a steady stripe design that links well with the unique lightweight high-intensity titanium materials that are used in this watch. 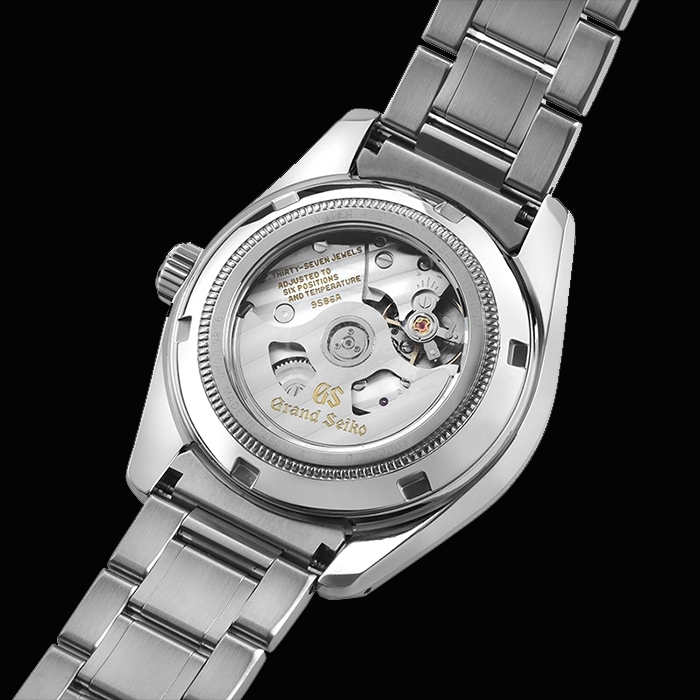 This high-specification movement delivers the same accuracy (-5 to +3 seconds a day) and the same power reserve (55 hours) as the core Caliber 9S85, while also offering the GMT function that the international traveler needs to ensure that the accuracy of the time shown is not compromised when the time zone is changed. The GMT hand shows the time in the home time zone. Pulling the crown out by one notch enables the hour hand to be adjusted without stopping the second hand so that the highly accurate timekeeping delivered by the Hi-Beat 36000 is not lost. Caliber 9S86 is the embodiment of the Grand Seiko ideal of high accuracy, maintaining exceptional precision in both the essential time display and the GMT function. In Seiko's 10 beat movement, the balance wheel that controls the accuracy of the mechanical watch oscillates 10 times per second. This is equivalent to 36,000 oscillations per hour, which earns it the name "Hi-Beat 36000". Ordinary movements beat at a rate of 21,600 oscillations per hour (6 per second) or at 28,000 per hour (8 per second). You can clearly tell that the 10 beat movement has the higher number of beats per unit of time. Grand Seiko's challenge to re-introduce the legacy of the 10 beat movement gave rise to Caliber 9S85, the first movement of its kind in 41 years. The redesigned hairspring and mainspring complement cutting-edge MEMS technology to raise precision and reduce component weight, simultaneously improving durability and securing the torque necessary to maintain a rate of 36,000 oscillations per hour. The movement is practical and reliable, with a maximum power reserve of about 55 hours.